If you’re just starting to vape or considering switching, finding the best cheap vape pen gives you both an affordable way to start vaping and a solid setup to help you quit smoking. The problem is that there are so many affordable vape pens on the market it’s hard to know which one is right for you. If you just choose the cheapest vape pen you can find, you probably won’t get something too capable, but if you focus solely on quality you can end up spending more than you intended to. But there are many devices that strike the balance nicely, and this post contains our top 10 picks for the best cheap vape pens for e-liquid. If you’re looking to vape concentrates or dry herb, finding a reliable and affordable vape pen can be even more difficult because the devices tend to be more expensive. However, there are still plenty of great options available, and we’ve listed some of the best options below the e-liquid list. The Evod Pro from Kanger takes 10th spot on this list thanks to its all-in-one design combined with basic vape pen like operation. The Evod Pro has a simple, one-button interface like most vape pens, but unlike most of the options on this list, it requires a separate 18650 battery to run. In a way, it’s in a class that blurs the boundaries with higher-end devices, ranking among cheap vape pen mods. The good news for new vapers is that it comes with a USB charging cable, so once you’ve picked up a battery and inserted it, you can use it just like ecig pens with internal batteries. The tank on the Evod Pro has a 4 ml e-liquid capacity, and it has a top-filling design so it’s really easy to use. It’s designed for mouth-to-lung vaping, so it’s a great match for a smoker just making the switch, but it still offers substantial vapor production thanks to the 0.5 ohm atomizer heads. In practice, all you have to do is insert your battery, unscrew the top cap to fill the tank and you’re ready to start vaping. It’s a perfect device for beginners, and the price is hard to beat too. You can pick up the Kanger Evod Pro for just $19.95, and it comes with the device, a coil, a USB charging cable and the manual for the device. This is a great deal for one of the top vape pens on the market. The iJust 2 Mini from Eleaf follows their general ethos of putting out high-quality devices that don’t break the bank, and the performance, simplicity and low-price of the iJust 2 earns it a spot on this list. The iJust 2 Mini comes with an in-built 1,100 mAh battery, which is better than many cheap vaporizer pens on the market, and will be enough to get you through most of the day of vaping. It has a simple design that’s well-suited to new vapers, with just one button for operation and a basic style tank with a bottom-filling design. This isn’t quite as convenient as top-filling, but it’s still really easy to use for new vapers. The iJust 2 Mini is a sub ohm device, which is one of the main reasons it makes this list. The tank comes with a 0.3 ohm coil as standard, supporting vaping at between 30 and 80 W depending on the remaining charge in your battery. The tank only has a 2 ml capacity, but even though you’ll have to fill up more frequently this does suit anybody who wants to change flavor regularly. The tank has an adjustable airflow ring at the bottom so you can set it up to suit mouth-to-lung or direct-to-lung hits. The iJust 2 Mini costs $25.95, and comes with the tank, the battery, a 0.3 ohm atomizer head, USB charging cable and a manual. The Aspire Breeze All-in-One is a great choice for new vapers looking for an affordable vape pen to help them switch from cigarettes. The all-in-one design means it’s perfectly set up for brand new vapers, with a 2 ml tank built into the body of the device. The battery is a little smaller than some of the other options on this list of cheap vapor pens, with a 650 mAh capacity. However, this allows the device to be more compact than most, measuring just 3 and a half inches tall by 1 and a quarter inches wide. It has just one button for operation, so you don’t have to deal with complicated menus or settings to get vaping. The Breeze All-in-One works with 0.6 ohm atomizer heads, which means it’s a sub ohm device and offers fantastic vapor production and flavor. It also has a side airflow hole to boost vapor production a little more. The tank is top-filling, so all you have to do is remove the mouthpiece section to fill up, and you can also access the coils in the same way to replace your existing one. Overall, it’s really easy to use and the performance is hard to fault, so it’s well-deserving of a spot on this list. The Aspire Breeze All-in-One costs $26.95, and comes with the device, two 0.6 ohm atomizer heads, a protective cap for the mouthpiece, a USB charging cable and a set of spare O-rings. Another all-in-one device to make this list is the eGo AIO from Joyetech. This has a traditional vape pen look, with a 2 ml capacity tank in the upper section of the device and a single button for operation. The eGo AIO is one of the older devices on this list of cheap vape pens, but it’s a fantastic performer that’s ideal for new vapers. It has a 1,500 mAh internal battery, which is more than enough for a day of vaping, and recharges via USB. The tank’s design is top-filling, and when you unscrew the mouthpiece you also get access to the coils, which are easy to change. The eGo AIO comes with two 0.6 ohm atomizer heads, offering sub ohm vaping and the great performance it brings. The good cheap vape pen also has an adjustable airflow system – you just rotate the mouthpiece section to change it – which allows you to set the device up for mouth-to-lung or direct lung vaping. The design is also leak-resistant, and the cap has an in-built child lock. All put together, despite the fact it’s a slightly older model, it’s a fantastic option for anybody looking for discount vapor pens. The eGo AIO costs $19.95 new, and comes with the device, two atomizer heads, two drip tips (one for mouth to lung and one for direct to lung hits) and a USB charging cable. We have a review of the AIO here if you want more information. The Pangu by Kanger is a fairly basic-looking device, but it’s long battery life and excellent performance earns it a spot on this list. It comes with a massive 2,500 mAh internal battery, which is more than enough to keep you vaping for a whole day even if you’re a chain-vaper. It has a really simple design, with one button for operation and a top-filling, 3.5 ml capacity tank, so you won’t have any problem getting to grips with it even if you’re brand new to vaping. You can also adjust the juice flow to the wick, so it can be set up to work with high-PG or high-VG e-liquids. The Pangu is a sub ohm device, and comes with one 0.5 ohm and one 1 ohm coil as standard. It has a standard slot-style airflow control system, and with this wide open and the lower-resistance coil installed you get excellent vapor production. The drip tip is also POM, which is a heat-resistant material that ensures you always have a comfortable vaping experience even at higher powers. For anybody looking for a high quality cheap vape pen, it has a hell of a lot to offer. The Pangu costs $14.95, and comes with the device, the tank, the two coils, a spare glass section for the tank, an extra sealing ring and a micro USB cable. The iCare Solo from Eleaf has a really low price, but it’s different from most of the other options on this list. It’s a really compact device, perfect for more casual vapers or anybody just switching using higher-nicotine or even nicotine salt e-liquids. The battery is only 350 mAh, but the design is so slim and compact it’s really intended for anybody who values portability over a huge battery life. The iCare Solo has an all-in-one design, with a 1.5 ml tank built into the device and accessible by removing the mouthpiece. The Solo has higher-resistance coils than many of the cheap vapor pens on this list, with two 1.1 ohm options included with the kit as standard. Don’t let that put you off, though, the vapor production and flavor you get from the Solo are great, and you’re unlikely to be disappointed unless you’re looking for really big clouds. The design is intended for mouth-to-lung vaping, so it’s really well set up for a just switching smoker. The price of the iCare Solo is a big part of the reason it takes fifth place on this list, costing just $14.95 as standard. It comes with the device itself, two coils, a USB cable and user manual. The K-Pin Mini from Kanger is another all-in-one style device to make this cheap vape pen countdown, thanks to a user-friendly design, great battery life and top-notch performance. The integrated tank on the K-Pin Mini has a 2 ml capacity, which may not be as big as other cheap vaporizer pens, but is plenty for most vapers. The 1,500 mAh battery will keep you vaping throughout the day, and there is an LED indicator so you know when it will need to be recharged. The design is simple all-round, with a single button to operate the device and a top-filling design on the tank. The K-Pin Mini works with coils down to 0.15 ohms in resistance, but comes with two 0.5 ohm atomizer heads as standard. This puts it right up there with the top e-cig pen devices when it comes to performance, and it also features triple airflow holes around the base of the mouthpiece to improve vapor production. It also offers a leak-free design and a unique telescopic mouthpiece, which allows you to hide the mouthpiece when you’re carrying the K-Pin Mini around. The K-Pin Mini is a little more expensive than the other options on this best affordable vape pen list, at $22.95, but it’s a great device that you won’t be disappointed with. It comes with the vape pen, two coils, a USB charging cable and a manual. The VaporFi VAIO Mini is a really unique device, combining an ultra-compact, beginner-friendly design with impressive battery life, and keeping the price really low. This combination of factors earns it third place on this list, but like the Evod Pro it blurs the lines a little and probably fits in more with vape pen mods. The design is almost box mod like, but the compact design and integrated 2 ml capacity tank makes it suitable for anybody looking for discount vapor pens. It has a really simple front-fill design, and a single button for operating the device. The battery is 1,000 mAh, which is smaller than some cheap vapor pens, but still great for something so compact. There are LED indicators to show your remaining battery life. The VAIO Mini comes with two 1 ohm atomizer heads, and puts out a constant 3.7 V throughout your charge. This means that you don’t need to adjust settings, but it doesn’t put out quite as much power as some of the other options on this list because of the higher resistance coils. It’s designed for mouth-to-lung style vaping, which makes it a great choice for smokers just switching over, and the vapor production and flavor from the device are still excellent. The VAIO Mini costs $19.99, and comes with the device, mouthpiece, two atomizer heads, a USB charging cable and a manual. The Smok Vape Pen 22 makes this list thanks to its simple design, hard-hitting performance and great price. It’s a sub ohm vape pen, coming with a 2 ml capacity sub ohm tank that’s top-filling and really easy to use. The battery has just one button, so it works like basically any other vape pen on the market. The battery itself has a 1,650 mAh capacity, which is a great offering that will keep you vaping for a whole day or more. It charges via USB and allows you to vape while you charge too. The tank that comes with the Vape Pen 22 has a 0.3 ohm atomizer head pre-installed, and the kit comes with another 0.3 ohm head too. The performance with this setup is excellent, with huge plumes of vapor – especially compared to other cheap vape pens – and really well-captured flavor. The voltage does decrease as the battery runs down, but the performance is still great throughout your charge. It has a wide-bore Delrin drip tip and a bottom airflow system, so it’s more suited to direct-to-lung inhales, but these both contribute to the great vapor production you get with the device. The Vape Pen 22 costs $19.95, and along with the device you get the two dual core atomizer heads, a USB charging cable and a manual. The Endura T20S from Innokin is the best cheap vaporizer pen on the market, especially if you’re looking for a mouth-to-lung vaping experience. With a classic vape pen design, the Endura T20S has a single button for operation and a 2 ml capacity top-filling tank, making it a really easy device to pick up even if you’re just switching to vaping. The battery is 1,500 mAh, and a tri-color LED lets you know your remaining battery life at a glance. You charge it with the included USB cable, and you can also keep vaping while it’s charging. The Endura T20S comes with two 0.8 ohm atomizer heads, making it a sub ohm device despite the mouth-to-lung vaping focus. The vapor production and flavor are both exceptional, and while options like the Vape Pen 22 might put out bigger clouds, it’s hard to imagine vapers having many complaints about what the T20S can do. It has a narrow bore drip tip as standard to improve the flavor, and it also comes with a drip tip cap if you want to change the style up a little. The Endura T20S costs $24.95, which makes it a little more expensive than many of the options on this best cheap vapes list, but the quality of the vape pen makes it more than worth a few extra dollars. It comes with the battery, the tank, two atomizers, the drip tip cap, a USB charging cable, some spare O-rings and a manual. Although most people looking for the top-rated affordable vape pen will be after an e-liquid pen, that isn’t the only type of vape pen on the market. Portable vaporizers are more common for people looking to vape dry herb, but there are some cheap vaporizer pens that work well for dry herb too. For concentrates, waxes and oils, there are a lot more cheap vape pen devices on offer, and you can usually get something that works really well in this class without spending too much. So here are some brief run-downs of some of the best cheap vapes for dry herb and concentrates. The Pro Series from V2 are three-in-one vaporizers, working with dry herb, concentrates and e-liquid through a changeable cartridge system. The 3X is the improved version of the vape pen style Pro Series 3, and although it’s still a little expensive, it still ranks among the cheap vape pens for dry herb because many other options are really expensive. The cartridges connect magnetically, so it’s really easy to use – all you have to do is pull out the cartridge to remove it and drop the other one in its place. It looks like a standard vape pen too, with a single button for operation and a long, tube-shaped design. The 3X is in the running for title of best cheap vape pen for dry herb because it performs really well and vaporizes your herb evenly. The device automatically switches to the appropriate mode when you drop the cartridge in place, and you simply press the button to start vaping. For e-liquid, you get two cartridges – one with changeable atomizer heads and one with a fixed one – and the performance in that mode is excellent too. Finally, you can pick up a concentrate cartridge if you like too. The Pro Series 3X isn’t the cheapest vaporizer pen – at $99.99 for the device and e-liquid cartridges and $24.99 for the dry herb cartridge – but the performance, design and ease of use make it well worth it. Check out our review for more information. The Summit Plus from Vapium is a bit more like a portable vaporizer, but it’s still pretty small and the price and performance earn it a spot on this list for dry herb devices. The summit has a chunky but still pen-like design, with a couple of buttons for adjusting settings and one to start vaping, and features a 3,300 mAh internal battery that can keep you vaping for an impressively long time. The Summit Plus is ruggedly put together, with a solid frame and the ability to function in external temperatures from 0 to 176 °F (−18 to 80 °C). The Summit Plus has eight temperature settings to choose from, ranging from 330 to 440 °F (160 to 230 °C). This is a great selection that puts it in the running for the title of best vape pen under 100 dollars in the dry herb class. You’ll be able to get whatever sort of experience you’re looking for with this range at your fingertips. The performance is excellent, and it vaporizes your herbs evenly and effectively every time. The air-path is stainless steel, and leads right up to the comfortable mouthpiece, so the flavor is great and there are no issues in use. The Summit Plus costs $90.97, and comes with a few replacement screens, two mouthpiece covers, a carrying bag, a cleaning kit, a security ring and a USB charger. The Atmos Jump is the best affordable vape pen for dry herb, with a great price, vape pen-like form factor and great performance for dry herb vaping. The cheap vapor pen has a single button for operation, making it really easy to get to grips with even if you’re new to vaping. It has an in-built 1,200 mAh battery, which is excellent for such a portable pen-like device and is plenty to get you through several sessions. It charges via USB, which takes about 4 hours after an initial longer charge the first time around. The Jump has an anodized heating chamber, and reaches vaping temperature in just 7 to 10 seconds. It’s the best vape pen in its class for the price and form factor, but it has a fixed vaping temperature of 392 °F (200 °C). However, this temperature works really well for vaping dry herb, and most vapers looking for cheap vape pens for weed are unlikely to have an issue with the performance it offers. It works for 4 minutes after you click the fire button three times quickly, but you can just do it again if you want a longer session. It vaporizes your herb evenly and effectively every time. The price is a big factor in the fact that the Atmos Jump is the top vape pen in the group, available for just $59.95 and coming with the device, mouthpiece, a packing tool, a cleaning brush and a micro USB cable. The Cora from VapeDynamics is a compact, sleek and good cheap vape pen that works with oils, concentrates and e-liquids. It uses a magnetically-connecting pod system, which is refillable with the concentrate or juice of your choice, and uses a ceramic coil for heating. The device immediately invites comparison with the JUUL vaporizer, and measures around 12 cm (around 4 – 3/4 inches) tall. It’s impressively compact and has a great look, with a 500 mAh battery and simple, one-button operation. It has an LED battery life indicator, and a magnetically-connected charger. To fill the pod, you simply twist open the bottom and fill it with your oil, e-liquid or concentrate. This is a great device for concentrate vaping – which is why it makes this section of the best cheap vapes list – but it also performs really well with a high-strength nicotine salt e-liquid too. You’ll be more than happy with the performance you get from it, whatever you’re vaping. The Cora costs $39.99, and comes with the device, a pod, the USB charging cable and two silicone attachments for filling the pods. The Yocan Evolve is a classic-looking pen-style concentrates vaporizer, and makes this part of the list for its excellent performance with concentrates and the low price. It has a simple design, with a battery section towards the bottom, a single button for vaping and a cartridge and mouthpiece section at the top. If you’ve used a cheap vapor pen for concentrates before, you’ll be right at home with the Evolve. 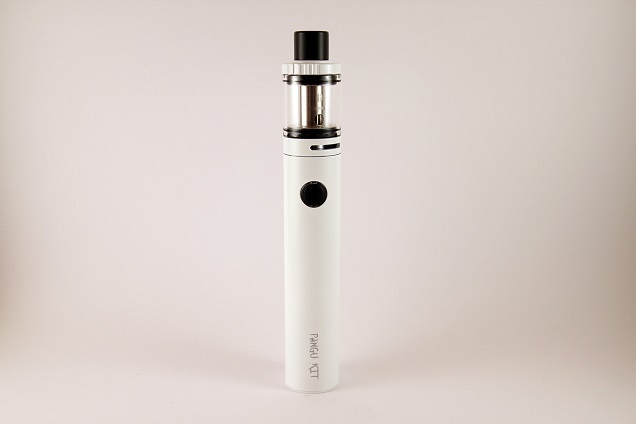 The battery has a 650 mAh capacity, which is more than enough for concentrate vaping, and charges via USB. The atomizer on the Evolve has a 0.8 ohm resistance and is a dual quartz option. This offers great performance with concentrates and oils, heating up instantly and providing great vapor production and clear flavor. It has a heat dissipating drip tip so your lips won’t get hot when you’re vaping, and it also cuts off after 10 seconds of continuous use for safety. You get a tool for loading thicker concentrates into the atomizer when you pick it up too. The Evolve makes the list thanks to its affordable $39.99 price-tag, which comes with the battery, the atomizer, a replacement coil, the loading tool for wax, a USB charger and a gift box. The Honey Stick Stinger is a pretty beastly entry into this list of the best quality cheap vaporizer pens for concentrates, with a chunky body and a sizable battery to keep you vaping for longer. It has a basic vape pen form factor, but much thicker like an e-cig tube mod, and but still has a single button for operation so it’s easy to get to grips with. It comes with a huge 1,650 mAh battery that can keep you going for days, and puts out an impressive 10 to 15 W of power. The device is quite portable but still really packs a punch. The Stinger has a 0.8 ohm ceramic donut heating element to vaporize your concentrates, and comes with a premium dab tool for loading them up. The performance is excellent, but it’s really designed for thicker oils or waxes rather than thinner concentrates. The flavor is great thanks to the ceramic heating element, and the vapor production is more than enough for a wax vaping session. The Stinger costs just $49.99, which is a little expensive compared to some of the other devices on this list, but it still a great deal overall. The Galaxy from KandyPens is one of the most widely-recommended and well-loved concentrate vape pens on the market, and despite a slightly higher price it’s still in close running for the title of top cheap vape pen. It follows the standard vape pen look when it comes to design, and works with a single button, located between the lower battery section and the upper atomizer section. The battery isn’t huge, but offers between 100 and 200 hits per charge, so will keep you going for plenty of vaping time. It charges via USB. The Galaxy is unique because it has three temperature settings as opposed to working like an e-liquid vape pen. You can set it to 350, 390 or 430 °F (177, 199 or 221 °C) by pressing the fire button three times, which offers really consistent performance. The atomizer uses dual quartz crystal wicks with titanium wire, offering fantastic flavor and plenty of vapor to keep you satisfied. The Galaxy costs $49.95, and comes with all of the main components of the device, a travel case, USB charger and dab tool. If you’re vaping thinner concentrates and oils, the VaporFi Air 2 is the best cheap vape pen device on the market. Its design is simple like most cheap vape pens, with a single button for operation and a compact, all-in-one style design. It works with e-liquids in addition to oils and thin concentrates, with a 1.4 ml tank and two atomizer heads included for e-liquid vaping. It has a compact 350 mAh battery, which isn’t as big as cheap vapor pens on this list, but it charges quickly too and helps the device be as portable as possible. Like the e-liquid atomizer heads, the five oil atomizer heads included have a 1.1 ohm resistance and support vaping at up to 15 watts. The device has a simple top-filling design, and has top airflow to boost vapor production. The performance with oils is great, with solid flavor and plenty of vapor with every puff. The atomizers use cotton for wicks, though, so thick oils or waxes won’t work. The VaporFi Air 2 Oil costs just $25.99, and comes with the device and mouthpiece, two e-liquid atomizers and five oil atomizers, as well as a USB charging cable. The dual function and low price makes it easily the best cheap vape if you’re looking for a multi-use, compact device. How Much Does a Vape Pen Cost? If you’ve looked through our vape pen list above, you might still have some questions, such as how much does a vape pen cost usually? There isn’t really an easy answer to this, because while there are plenty of budget vape pens available – such as the ones in this list and options like the Triton II from Halo Cigs – many modern devices can cost around $40 or even more in some cases. If you’re looking for the very cheapest vaporizer pen you can find, you can pick cut-price options up for as little as $10. But if you want something that stands up to the competition in the modern day, you’ll likely have to pay more like $30 in most cases. If we had to estimate the average vape pen cost, it would be between $25 and $35. Where Can I Buy a Vape Pen? Vape pens are widely available, from brick-and-mortar vape stores to online vape stores and even many cases gas stations or convenience stores have cheap vape pens for sale. If you’re looking for some firm recommendations as to where to find cheap vape pens online, DirectVapor and VaporDNA both have great selections and always keep prices as low as possible, with plenty of great vape pen deals available. Regardless of what you’re looking to vape, there are some fantastic options in the best cheap vape pen lists above. You don’t have to spend too much money to get a solid vape these days, and picking up vaporizer pens cheap has some definite advantages. You’ll be more than satisfied with the performance of these options, but if you want something even more capable and feature-packed, you can always upgrade to something higher-end later. For now, just enjoy your vaping experience.